Early morning raids at several Canna Clinic locations in Toronto and Vancouver have resulted in six arrests, police say. Officers served warrants for 15 locations, 12 of which were in Toronto. 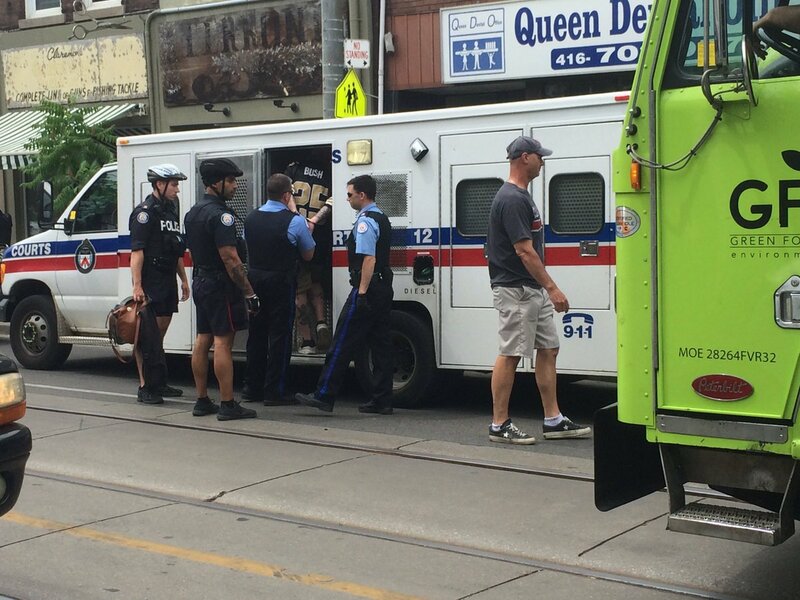 Seven of the Toronto raids took place in storefronts, with the other five happening at private residences, said Mark Pugash, spokesperson for the Toronto Police Service. Police in Vancouver also raided three homes in connection with the same investigation. Canna Clinic’s headquarters are based in B.C. He added that Toronto police have executed warrants at these same locations before. A customer who was inside the Canna Clinic on Broadview Avenue at the time of the raid told CTV News Toronto that a dozen customers were inside the store when Toronto police stormed in. The man, who did not want to be identified, said all customers and employees were handcuffed while police conducted the raid. The raids come on the heels of comments made by Toronto Mayor John Tory, who reiterated calls last week to shut down illegal marijuana dispensaries. “I’m much more concerned about what’s going on with people who are assuming that there are new rules in place or that there aren’t going to be any rules and that these shops continue to pop up in neighbourhoods,” he said. Last June, police charged 23 people after raiding three Canna Clinics and one Cannabis Culture location in Toronto. At the time, they said the marijuana and other illegal substances they seized were worth more than $289,000.